Country singer Billy Ray Cyrus is releasing a new album on Tuesday, Associated Press reports. After years of being Hanna Montana’s dad, the country singer decided to step away from the television spotlight and get back to recording music. His new album, “I’m American” especially salutes the military, offering seven new songs and the remakes of some if his earliest hits. Billy Ray Cyrus’s life in the last years had been rollercoaster. He nearly got divorced, he had to answer to the press for his famous daughter’s behavior and had to separate from the Hanna Montana phenomenon which came to an end. What’s a man to do? Te cowboy in him retuned to the surface and he decided to compose new songs in honor of the military, a theme that he has been fond of since the beginning of his career. “I’m American” is a tribute paid to the military men that served the country over the years and wars. Cyrus, who has visited military hospitals and has regularly performed for troops that were overseas fighting, said that the idea for the album came to him while he was in a visit in Afghanistan during the war. 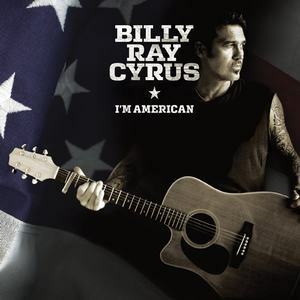 It was during a performance in Afghanistan on `Some Gave All’ when some bombs went off in the background, a young soldier stood up and said, `Keep going Mr. Cyrus. We’re used to it” the country and patriotic singer said. “At that moment, I knew that I felt like I was going to come back and record `Some Gave All’ and start an entire album on a concept that was based solely on taking my hat off and saluting our troops.” he concluded.